Eventhough we’ve still got a while to go before The Horrible Crowes debut Elsie, they’ve helped to alleviate the wait by releasing their first single, “Behold The Hurricane,” via iTunes. I hope it eventually comes out as a 7” single, but I’ll take any Horrible Crowes I can get right now! 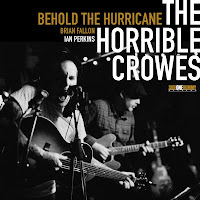 “Behold The Hurricane” settles into a great ebb and flow and Brian Fallon’s unmistakable voice aches beautifully over the chugging guitars and bubbling drums. I’ve always loved his songwriting and if lines like “I age by years at the mention of your name” are any indication of the lyrical direction of the new songs, I’m beyond stoked. 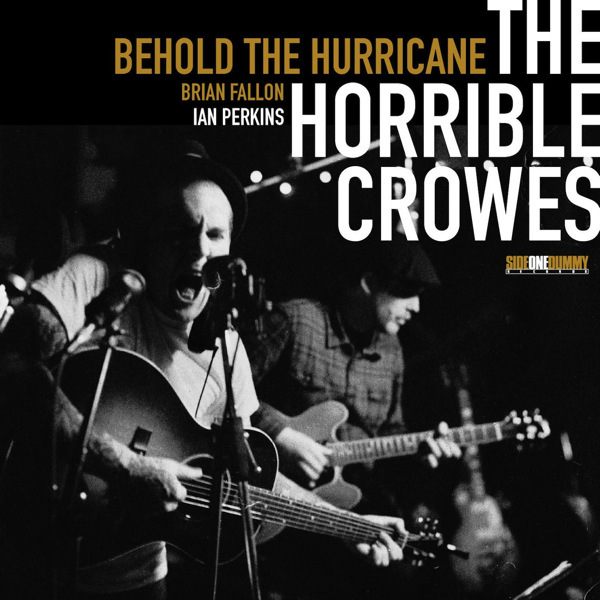 I really dig the propulsive sound of “Behold The Hurricane” and I definitely think it’s meant to work as a transition between The Gaslight Anthem and The Horrible Crowes. Supposedly this is the only song that sounds similar to Gaslight, so it makes sense to bridge the two bands for the sake of the casual listener. I'm really digging the simple artwork on the single too. Just Brian, Ian and a couple of guitars, letting the music speak for itself. Pre-sale information for Elsie is supposed to be announced next week, so fingers crossed for a pretty sweet package deal. Until then, “Behold The Hurricane” will be in maximum rotation.